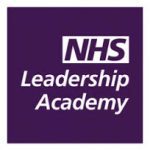 Those of you who are very eagle eyed may have picked up through my tweets that a while ago I applied for and was accepted onto The NHS Leadership Academy’s Mary Secole Programme. 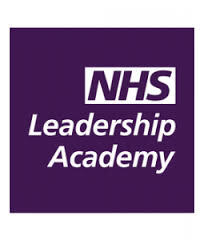 I count myself very lucky to have been successful in my application, as I am not an NHS employee, however I am infinitely passionate about nursing and connecting and supporting nurses to improve patient care through social media, and I am grateful that someone at the NHS Leadership Academy recognised this and gave me a xxxxxxxxxxxxxxxxxxxxxxxxxxxplace on the course. The Mary Secole Programme is a year long commitment of mostly online study but interspersed with meet up sessions. Yesterday was the first session, a meet up with our tutor and tutor group and our official start point of our course. I have to say I was really quite nervous. Those of you who know me know I am not the bravest of people and a little bit of a worrier – well my worries were very much getting the better of me. My primary concern being that I am not in a traditional leadership role, I lead and organise a group of nurses in social media who I mostly never see or have direct management responsibility for so I was breaking out into a cold sweat about how exactly I would be able to complete the assignments given my role is so different. However despite my fears and anxieties I put one foot in front of the other and off I went to meet my fellow students and tutor. There were about 20 of us in total and it was clear to see that I was not the only apprehensive one in the room but our tutor was very adept at putting us at ease and soon had us talking about our hopes and fears – of course my fears were something I had thought about A LOT but my hopes – well my hope is that I will learn more about how I can inspire others and how I can adapt as our online communities grow. Somehow by talking about our hopes we all relaxed and our fears became a little less frightening. Our tutor organised us into smaller peer groups – groups of people that we would spend the next year being supported by and supporting – my group is a really diverse group with a variety of experience – theres me (obviously!) an estates and facilities director, a surgical staff nurse, a senior PICU staff nurse and a library manager .. of course we all joked about how fortunate we were to have a librarian amongst us and how she was definitely our new best friend but in reality we soon realised that we were excited at the possibilities of having such a diverse peer group. One of the things that struck me throughout the day was the amount of experience but lack of confidence in the room. The room was full of people who make a huge difference to patients every single working day but in their own eyes they were “just” a nurse or “just” a physio and this is something I have been guilty of myself at times. 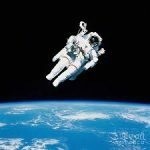 Our tutor told a very powerful story of a US presidential visit to NASA where the president (she was unable to recall which one and I have been unable to find out on google, so apologies) spoke to a variety of NASA staff. The president was also introduced to a cleaner and the president asked the cleaner “What do you do?” and the cleaner replied “I put men into space” This is certainly something that we all need to learn in healthcare as it really does boil down to the fact that no matter what your role is in healthcare, whether you are a cleaner or a chief executive we all do the same thing – we all save people’s lives, and this is something we should be proud of. 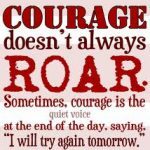 I still have my fears, I am still nervous about how I will complete assignments but I am certainly up for the challenge. 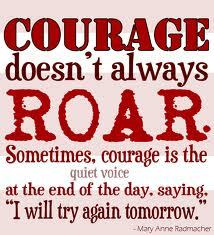 It will be hard work but I have my wonderful peer group for support. I know I will have to do some creative thinking in some areas of the programme but I now have a little confidence, the recognition of my hopes and the knowledge that even though I am “just” a twittering nurse I too save peoples lives. Hi tree. Just read your blogs. Well done on your achievement and very well deserved. I am extremely confident that you have nothing to worry about. The value you will bring will be of benefit to everyone on the course and to the #nursecommunity. You are creative, knowledgeable, caring, courageous and compassionate. A true leader!